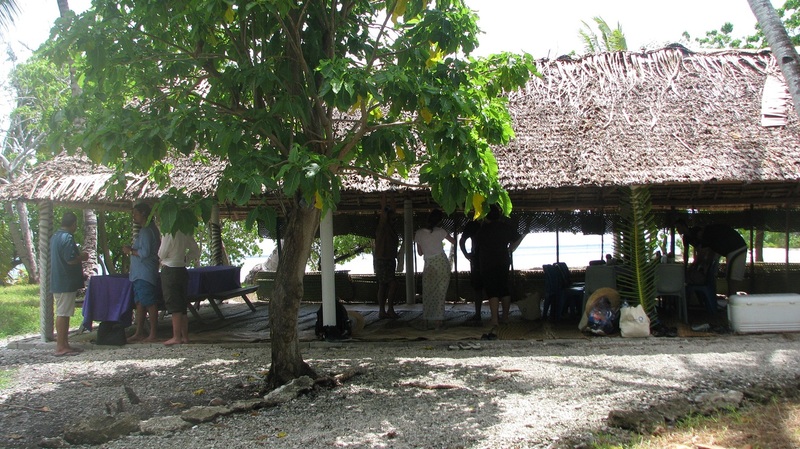 New England Aquarium President and CEO Bud Ris recently attended a meeting of the Phoenix Islands Protected Area (PIPA) Trust in Tarawa, Kiribati. He was accompanied by Conservation Projects Coordinator Regen Jamieson. In this post, she takes an excursion to an island nearby Tarawa after the conclusion of the PIPA meetings. 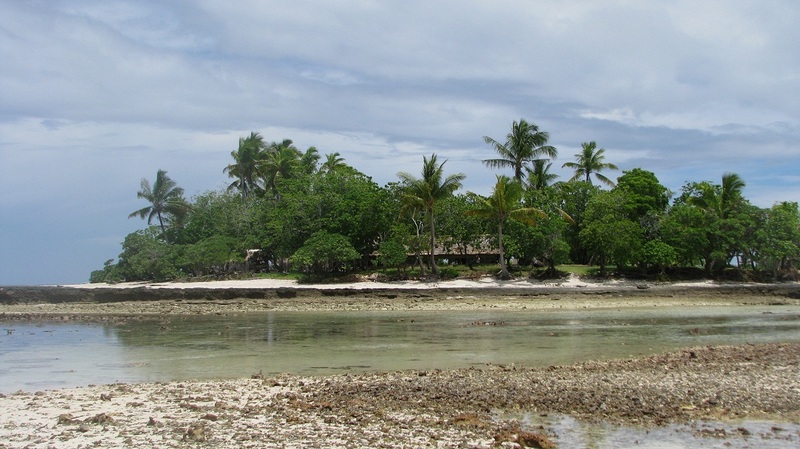 Yesterday we went for the day to Ouba, a resort located two hours north of Tarawa run by Emil Schultz of Kiribati Horizons. The objective of the day was to allow the Conservation International film team who was traveling with us get some footage of President Tong with his grandsons fishing, and to get some underwater footage of Greg Stone. The rest of us tagged along and for me, this was the first time I had taken a day in Kiribati to see a bit of nature and go snorkeling. 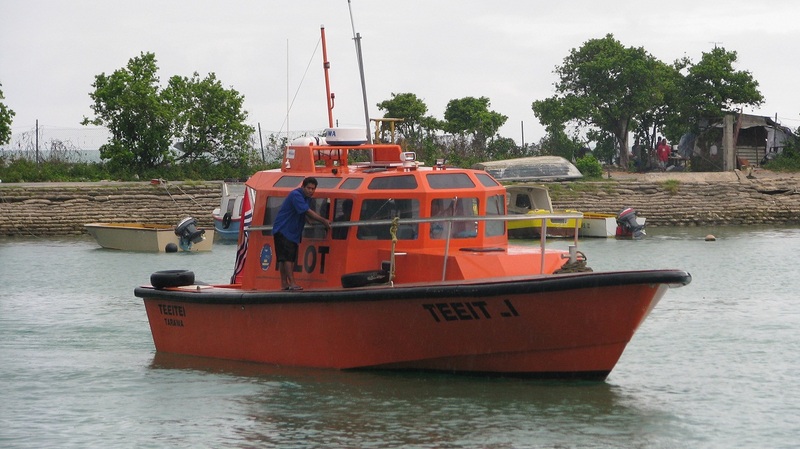 We met at the Betio port at 7:30 am and were picked up by our transport, the Teeitei, which means "frigatebird" in the I-Kiribati language. Our day was hosted and coordinated for us by PIPA's new friend and colleague Christine Greene. Christine is a fabulous jewelry designer based out of Los Angeles, whose styles are worn by Hollywood stars the likes of Cameron Diaz, Salma Hayek, Reese Witherspoon and even First Lady Michelle Obama. Christine grew up in Tarawa until independence in 1979. This was her first trip back to Kiribati since leaving, and it was a wonderful homecoming event. Her jewelry pieces are inspired by her upbringing in the Pacific and her love of the ocean. 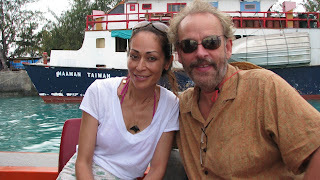 The first photo is LA jewelry designer Christine Greene and Aquarium Senior Vice President of Conservation and Exploration Dr. Greg Stone. 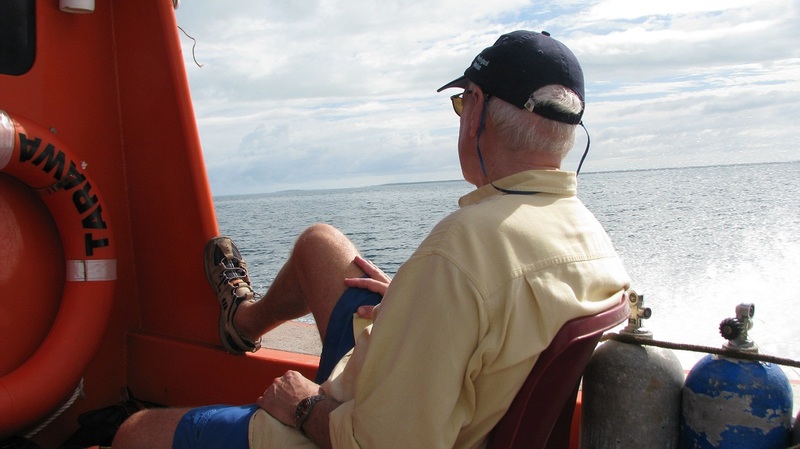 Next is Aquarium President Bud Ris enjoying the ride from Tarawa to the islet of Ouba. When we arrived at Ouba, it was raining slightly, which was not so bad as it was cooler and the sun was not bearing down on us as we transported our belongings onto the island. 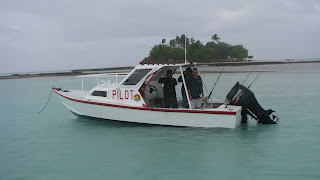 Since the tide was low, we had to jump out of the boat and wade in to shore. The location was just spectacular. Emil has a really nice operation with sleeping accommodations for eight people and even, a pleasant and unexpected surprise — flush toilets. 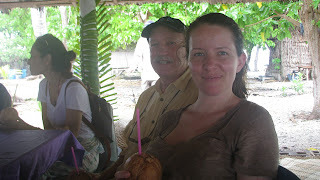 Our hosts provided us each with fresh, young coconuts to drink and two large platters of freshly made donuts! 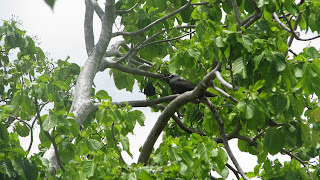 All over the island were hundred of nesting noddies. Conservation International's Pacific Island Marine Program Director Sue Taei and I took a walk around the islet next to Ouba, and then for a quick snorkel before lunch. 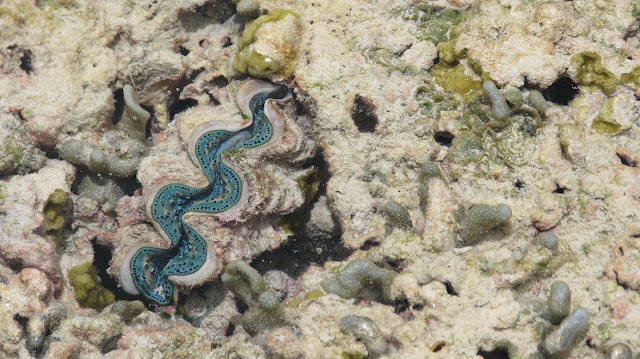 The shallow waters were full of incredible marine life. Having never been to the Phoenix Islands, I started to understand what a magical event it must be to go there and to snorkel or dive there. The sun came out, and it turned into a gorgeous day. 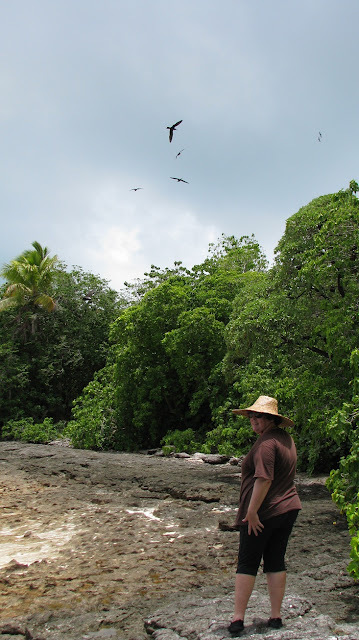 First: CI's Sue Taei and I walked around the islet before going for a swim. Second: Giant clam in shallow water. 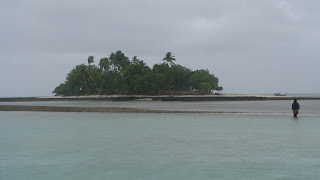 Ouba, Kiribati. Christine, Emil, and Emil's sister Debbie coordinated an incredible traditional feast for us at lunch. It was by far the best food I have had in Kiribati, incredible seafood including lobster, raw tuna in coconut milk and citrus (yum! ), roasted fishes, clams with lime juice… And of course, a Kiribati stable for feasts, the roasted pig. Fruits included breadfruit (Artocarpus altilis), taro, and pandanas. This was my first real introduction to pandanas, locally called the 'walking tree' and also sometimes called the 'screw-pine.' It is a tropical tree that grows a huge fruit comprised of a bunch of 'nodes' that you can pull off and chew. The juice tastes like a mixture of sugar cane and mango and is very fibrous. We also had a very traditional dessert made from boiled pandanus which is then strained and dried in the sun until it turns into a natural “fruit roll-up.” You then serve with coconut syrup. 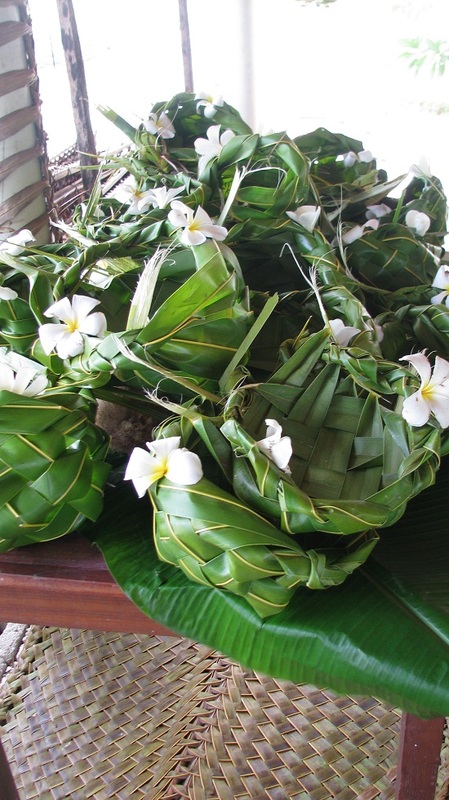 We used traditional style plates made from coconut palm leaves. Plates made from coconut palm leaves. After lunch some went for a quick dive, others back for a swim or snorkel. 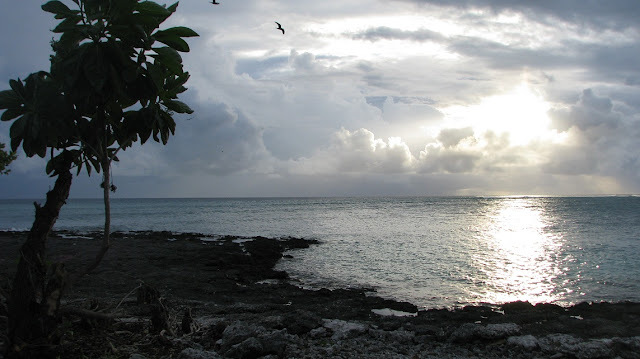 As the sun set, most of us reluctantly packed up to head back to Tarawa. Some, including President Tong, Minister Kwong, and Conservation International's film crew that were with us, decided to stay the evening.